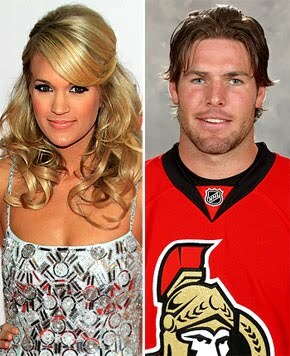 Country star Carrie Underwood will not be moving in with boyfriend, hockey player Mike Fisher, as rumored. "I would never live with my boyfriend!" she declares. "Not my style." 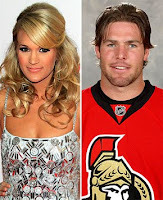 Speaking of style, gorgeous as always, Miss Carrie. 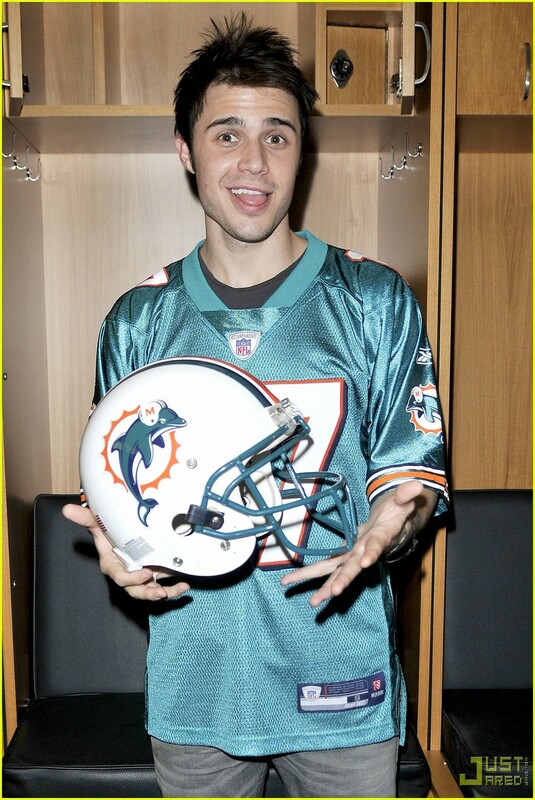 American Idol winner, Kris Allen, loves Dolphins! The Miami Dolphins, that is. He recently performed at a pre-game tailgate show in Miami. 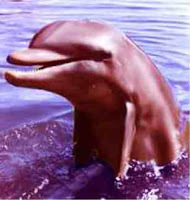 No word on his affinity for the loveable sea creatures. Adam Lambert and several of his extras and dancers turned heads Sunday afternoon as they strolled to the Alexandria Hotel in downtown LA. No, it wasn't a casual brunch date. The group had gathered to film Adam's video for his single "For Your Entertainment." We're entertained already, Adam. PECK OF PICKLER PICTURES PICKED! Check out the ever-adorable Kellie with her newly-dyed red locks! There goes that "dumb blonde" image, Kellie! Have fun at the MENSA meets!